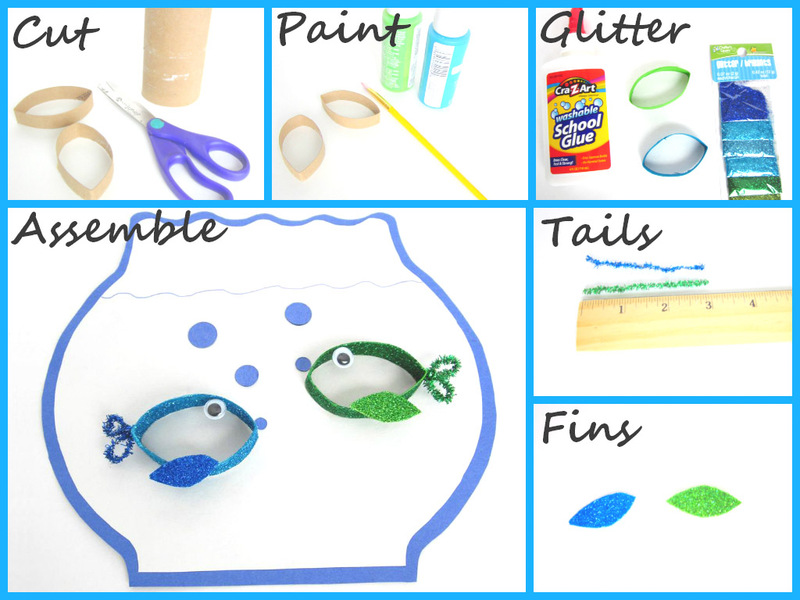 Last week, in my latest trip to Dollar Tree, I found the glitter, glitter foam, and chenille I used in making this little fish project. At the store, I did not know what to do with them but I knew they were going to be useful for some cool DIY. They all had the same bright blue and green colors, like they were all made to be together. So I bought a package of each one. After I got home, I remembered the conversation with my hubby and began to make this bowl full of aquatic fun. Here it is with instructions and free bowl pattern for you to try it with your little ones. Tails: Take the blue and green chenille and cut a 3″ piece of each. Bend each piece in half. Then take a chenille piece and bring the left and right ends to the center to make a loop like you were doing a bow. Twist each end at the center a little bit to secure the “bow” in place. Do the same thing to the other chenille piece. Fins: Cut the fins from the glitter craft foams. If you want to vary the project a little bit, try some shark fins or dorsal spikes. Assemble: Glue the tails, fins, and eyes on both fish. Take the blue and white construction paper and cut out the bowl using this Bowl Pattern. Glue the fish on. 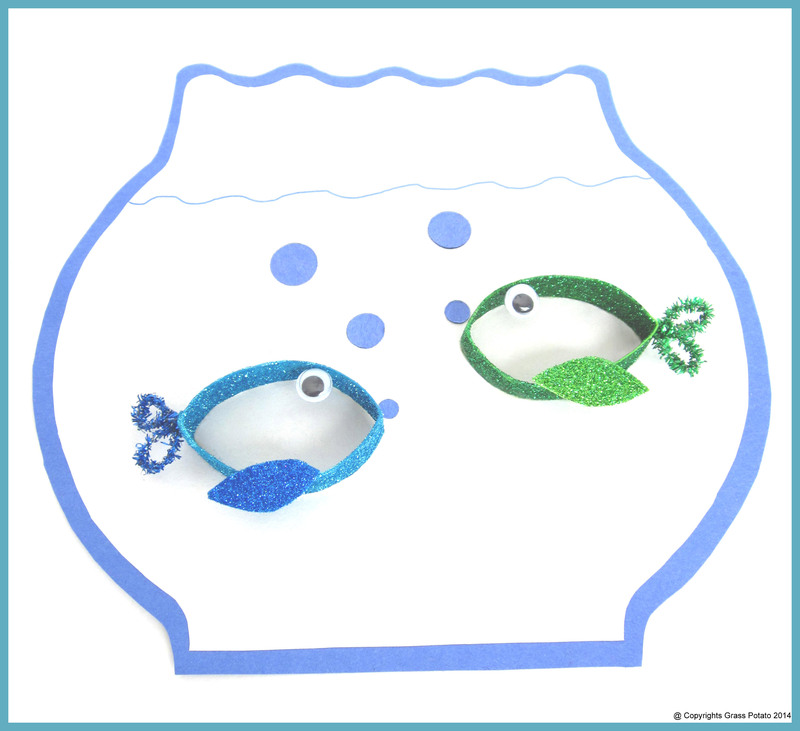 Finish your Paper Roll Fish in a Bowl with some bubbles and waves. And here they are! Ready for an aquatic adventure. I love to make projects that are inexpensive and, use recycled and upcycled household products. Do you have other craft ideas using toilet paper rolls or any other recycled product? Did you like this Paper Roll Fish in a Bowl? Please comment below. I would love to hear from you. 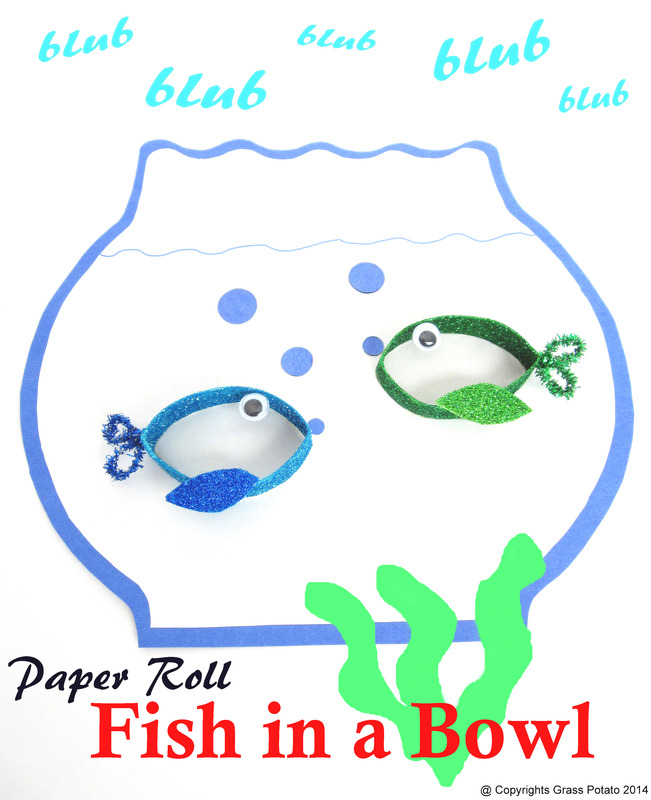 Tags: activities for kids, fish paper craft, paper craft, Paper Roll Fish in a Bowl, preschool activities, recycle paper craft, toilet paper roll craft, Toilet Paper Roll Fish Craft. Bookmark the permalink. This is an adorable project… and thank you for including the coloring page!! I can hardly wait to make this with my grandchildren, aged 5 and 9. I am not very good with crafts, but this one I can manage 🙂 Most of the time, I provide materials and instructions and my daughter has the artistic flair and talent. Thanks again! Send me posts by email! 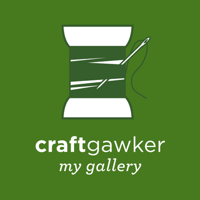 Take a look at my crafts in these websites and stay around to see other crafters' work.